If you are finding that your favourite water resistant jacket or gilet is no longer performing as it once did, Nikwax TX Direct® Wash-In 100ml is the ideal product to ensure that your items are water resistant and breathable. 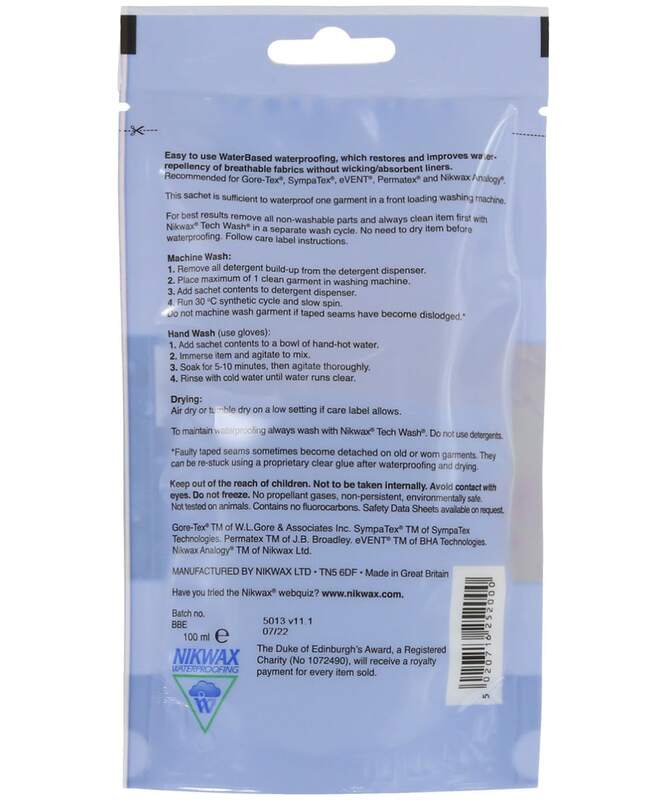 Recommended for GORE-TEX® and other waterproof products, this water based product can easily be added into your washing machine, and contains no fluorocarbons, aerosols, or hazardous materials making it not only safe to use in the home, but meaning that it will not affect the cosmetic appearance of your items. Designed to increase the life of your wardrobe pieces, the product will activate during the drying period, you can always place your item into the tumble dryer on a low setting if the product care label allows, for added convenience. 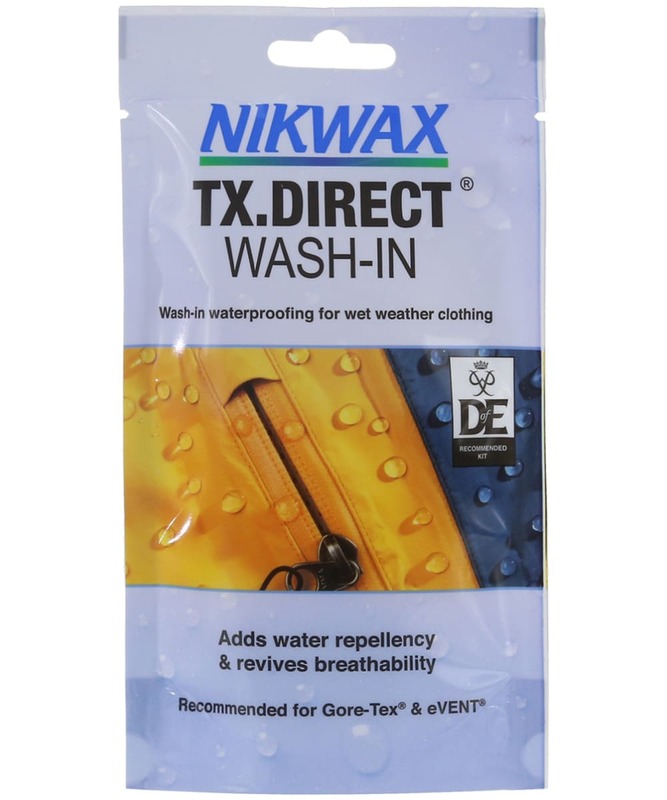 Nikwax TX Direct® Wash-In can be used on clothing, as well as your other waterproof items, such as tents and bags, to maximise their performance.